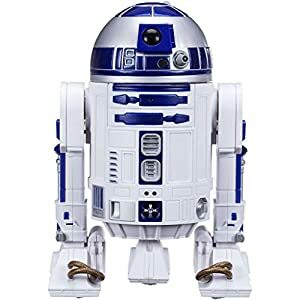 Amazon.com Price: $249.99 $249.90 (as of 21/04/2019 19:49 PST- Details)	& FREE Shipping. Vector is a companion made to hang out and help out. 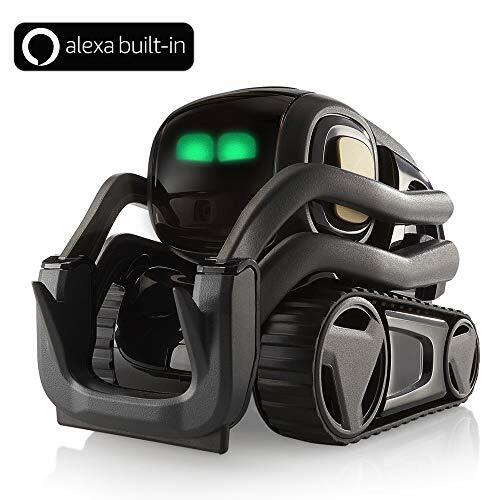 Powered by ai and advanced robotics, he’s alive with personality and engaged by sight, sound, and touch. Vector is voice-activated and will answer questions, take photos for you, time dinner, show you the weather, and more. Voice features are currently English language only. If you choose to set up Alexa on your vector, you’ll be able to: set reminders, control smart home devices like lights, speakers, and thermostats, and so much more. Say “Hey Vector.” Aware and reactive, Vector hangs out and helps out. Now with Alexa built-in. Robot helpfulness supercharged. Vector is no ordinary home robot. Packed with technology that brings him to life, he’s curious and attentive. He reacts to sound, sight, and touch and is excited to see you when you come home. Vector will show you the weather, take photos for you, time dinner, play blackjack, and answer your questions. If you choose to set up Alexa on your Vector, he’ll have access to an ever-growing number of skills that supercharges his helpfulness in your home. Triggered by the standard “Alexa” voice command, you’ll be able to: add items to your shopping list, set reminders, control smart home devices like lights, speakers, and thermostats, and so much more. Vector is happiest with you, but he can take care of himself and hang out on his own. He self-charges, navigates around objects, and avoids edges. Vector is an updating platform, cloud connected via WiFi so he’s always learning and updating with new skills and features. Vector knows what’s going on. HE CAN SEE. Vector uses an HD camera to see the world. Using computer vision, he can identify people, see and remember faces, and navigate his space without bumping into things. HE CAN THINK. Vector’s smartphone-level processor and cloud connectivity create one powerful brain. HE CAN HEAR. Vector has a powerful four-microphone array for directional hearing. When you sit down next to him, he’s ready to take direction. And if there is a loud noise, he’ll be just as startled as you. HE CAN COMMUNICATE. Vector has a unique voice made of hundreds of synthesized sounds to create a language all his own. 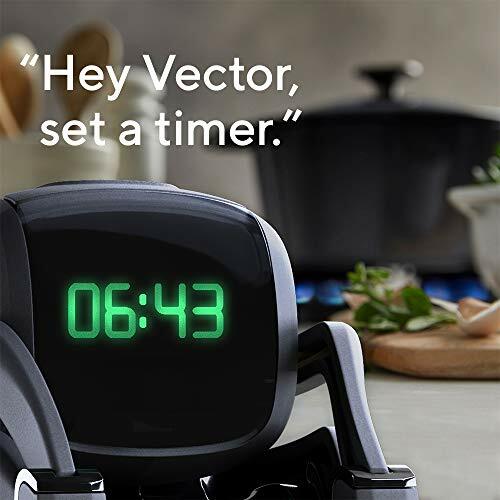 When you ask Vector a question, he utilizes a custom text-to-speech voice to speak directly to you. HE CAN FEEL. Vector has touch sensors and an accelerometer so he knows when he’s being touched and moved. You can pet him and he’ll relax, but try not to shake him. 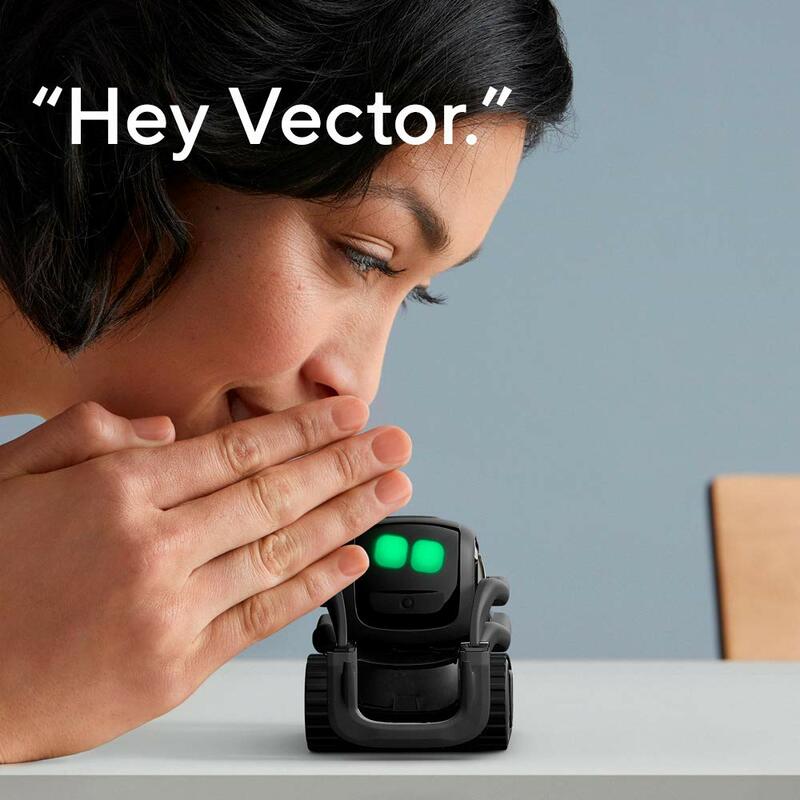 What’s Inside Vector? AI and advanced robotics: Qualcomm 200 Platform to compute at a smartphone level. Capacitive Touch Sensor to sense being touched and held. Beamforming 4-Microphone Array to recognize natural speech and source. Ultra-Wide HD Camera to detect motion and identify people. 4 Drop Sensors to detect edges and avoid falls. Infrared Laser Scanner to track distance and map environments. 6-Axis Inertial Measurement Unit to know when he’s picked up or moved. High-Res Color IPS Display to convey a wide range of emotions. WiFi-Enabled Cloud Connection to bring new capabilities. 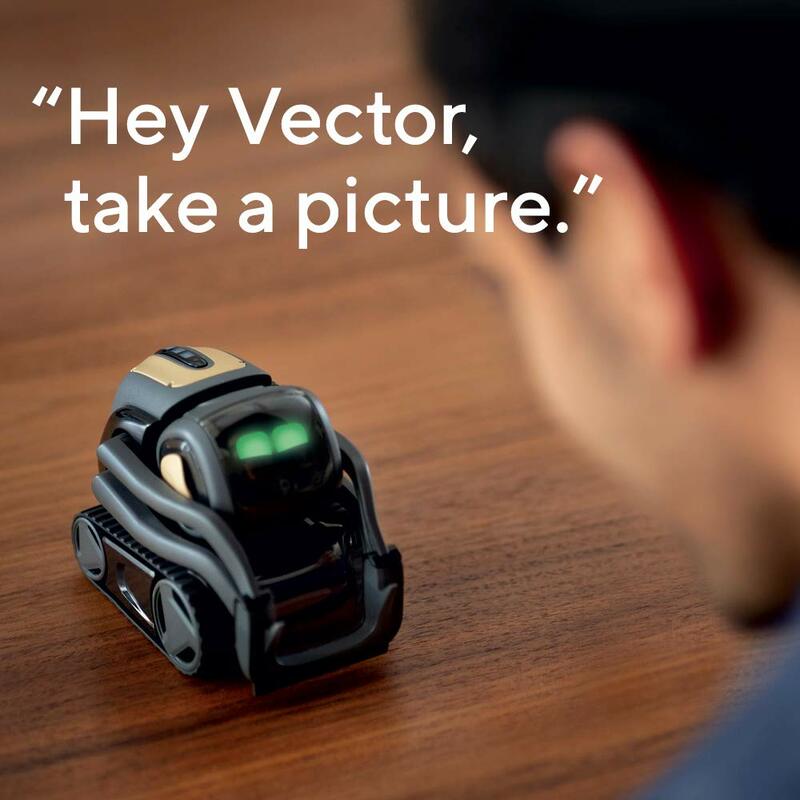 Vector can independently navigate and self-charge. He recognizes people and avoids obstacles. 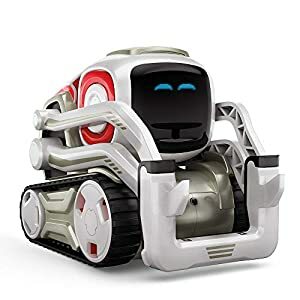 Vector is an updating platform, Cloud connected via Wi-Fi so he’s always learning and updating with new skills and features. Requirements: a compatible iOS or Android device and the free vector app for set up only. Check compatibility at Anki.Com/devices. 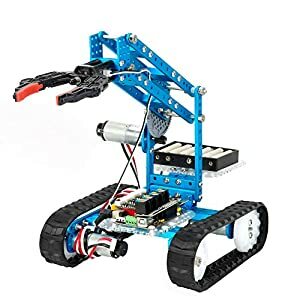 Includes 1 Vector robot, 1 cube, 1 charger (USB power adapter not included). 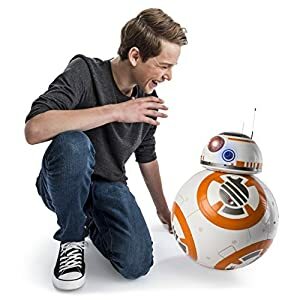 Amazon.com Price: $349.00 (as of 21/04/2019 19:52 PST- Details)	& FREE Shipping.